CONGRATULATIONS TO THE FOLLOWING STUDENTS RECEIVING SUPERIORS IN 2019!!!! Specific activity information is located on our studio website on the scroll down menue under the ACTIVITIES main heading. ____1. Keep your theory in a three-ring binder specifically set aside for theory. ____2. Everyone who took a theory test last year, should have their ongoing VMTA THeory Terms list which is cumulative. New students may download the VMTA Theory Terms list available in the Google Docs Theory link provided to every student in the 7/29/2017 email with levels for every student in the studio and links to VMTA Practice Tests, VMTA Syllabus, and VMTA Terms list. _____4. Download/print the Theory Syllabus. Like the Theory Terms, it is cumulative, so you can review Primary through the level you will take in 2018 in order to be absolutely prepared. Please put a copy of this syllabus in your Theory 3-ring binder. _____5. Find the theory level you will take this season. Take the listening questions to the best of your ability. Answer the questions on the test, and put a copy of this test in your 3 ring binder for me to see at your last lesson the month of September. Please make reasoned attempts to answer the questions using the musical knowledge you current have. Do not write a question mark. Put information -- suggest a possible answer--write what you do know. This will give us a basis from which we can delve into your theory study. ______6. Those students seeking more experience with the VMTA testing format should take every one of the theory practice exams they would like! I'll be happy to check and discuss these with you. ______7. Have a music manuscript book or 15 pages of music manuscript paper in your three-ring binder. Many of you have them from last year. I might make future assignments on these. Teachers are required to work 1 hour plus one hour for every four students entered. PLEASE ARRIVE 15 MINUTES BEFORE YOUR SCHEDULED TEST TIME. Bring two sharpened pencils to the exam. In Primary Test Level questions will be read aloud and students are able to ask questions. TESTS ARE NOT TIMED BUT GENERALLY TAKE ABOUT AN HOUR. 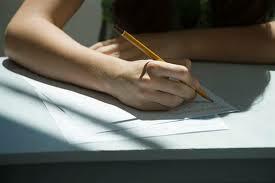 STUDENTS ARE ALLOWED TO STAY AND FINISH THE TEST, HOWEVER, WITHOUT BEING PENALIZED IF THEY TAKE LONGER. Listening Questions will be given only once around 15 minutes into the exam time. If you are late and miss the listening questions they will not be played again. Do not take any of your theory study materials in the test room. PARENTS AND GAURDIANS SHOULD WAIT IN THE FRONT PART OF THE BUILDING AND NOT PASS BEYOND THE WELCOME DESK SO AS TO KEEP THE TESTING AREA QUIET. Graded Tests will be returned to the teachers in two weeks time. The Musical Dictation: Tonal Ear Training website is designed for the college music student to practice music dictation independently in the lab or outside class hours, or for anyone else wishing to enhance their musical skills. This website consists of three categories of dictation—melodic, rhythmic, and harmonic—that are divided into four levels. Each level corresponds to one semester of a pre-university college program in music. Each section is further divided into several chapters that address specific concepts, all presented in a logical progression to promote the solid and continuous development of aural dictation. In order to use the contents of this site effectively, one must already be familiar with the rudiments of music, including clefs, accidentals, scale degrees, intervals and their qualities, time signatures, and note values. The Musical Dictation: Tonal Ear Training website is user-friendly and does not require any specialized software. The dictations are in MP3 format and can be downloaded onto a computer or digital music player. The answer keys and a table of contents are also available in PDF format and can be downloaded and printed as needed. under Contextual Listening you find Melodic organization and devices and Melodic dictation. 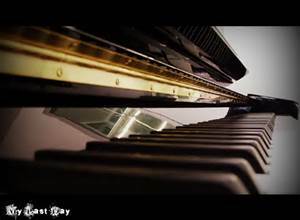 From here you can find a limitless supply of melodic dictation at the level you want.